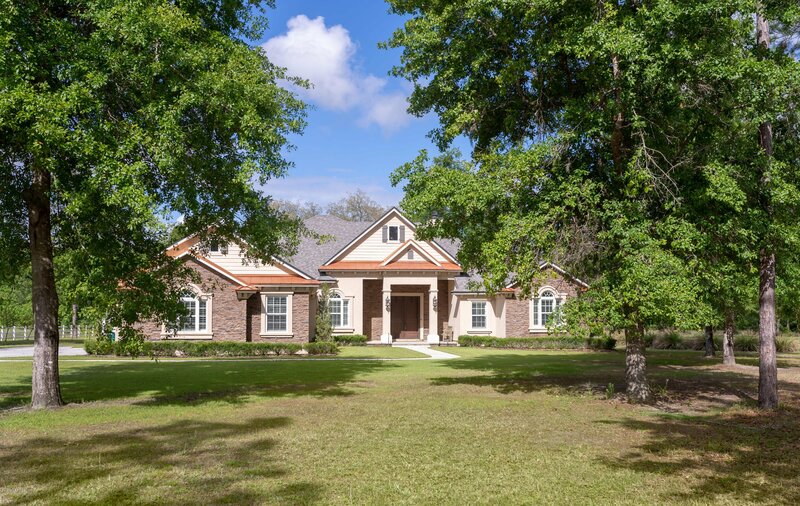 This custom built estate affords ample privacy, nestled on a 4.2 acre cul-de-sac lot with a pool & stocked pond. 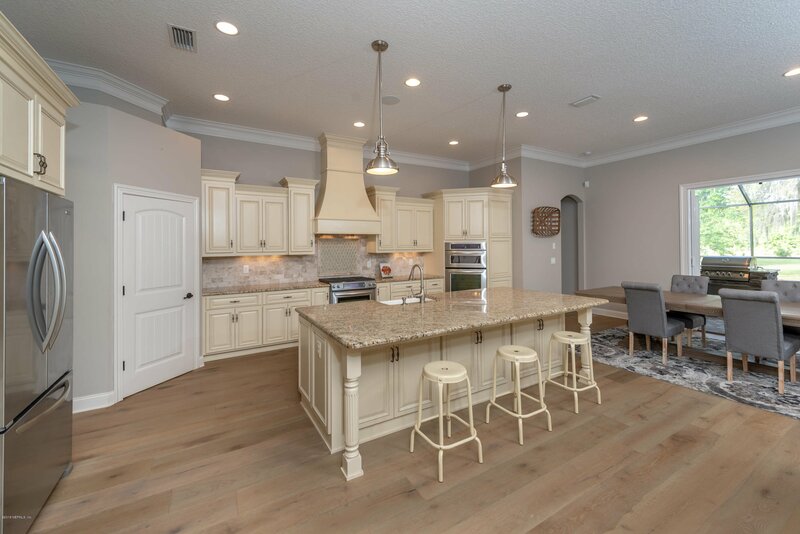 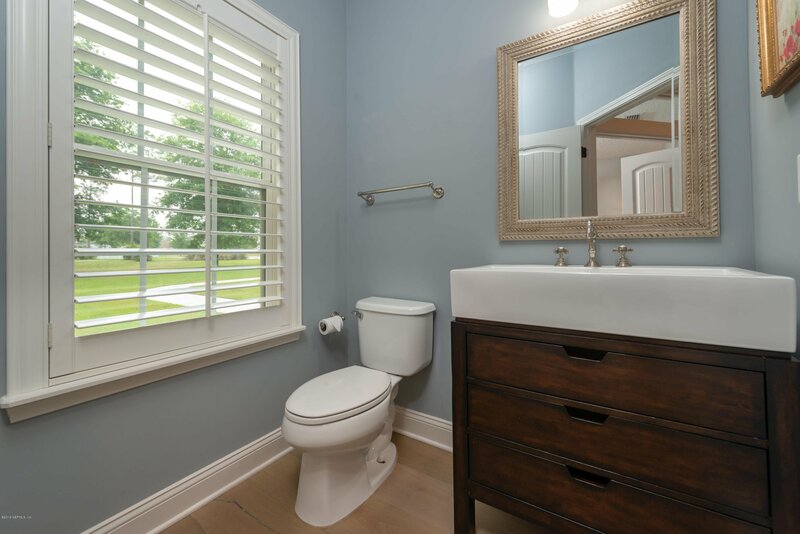 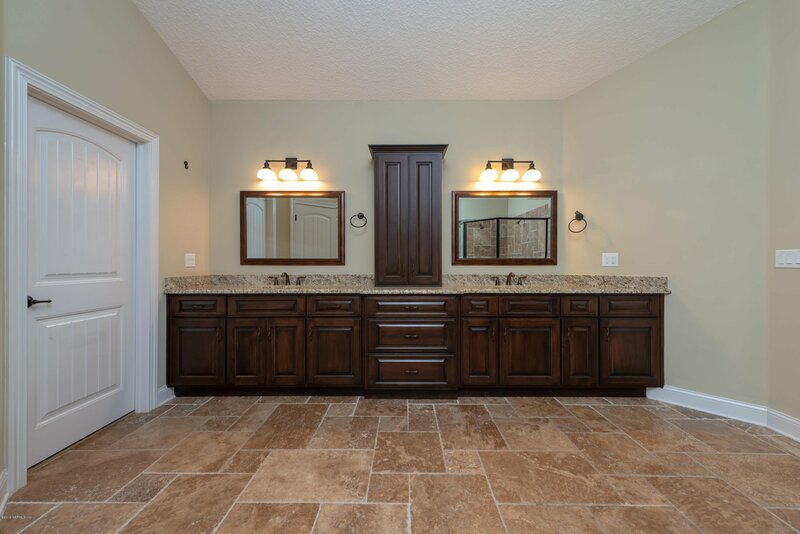 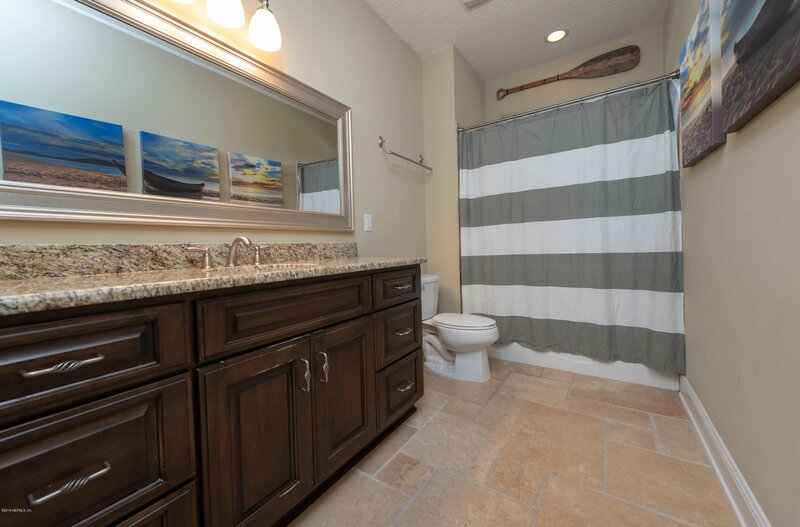 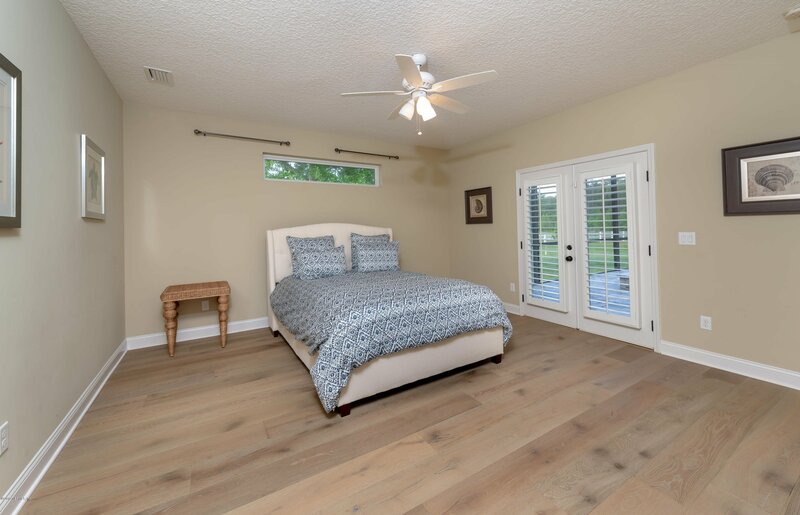 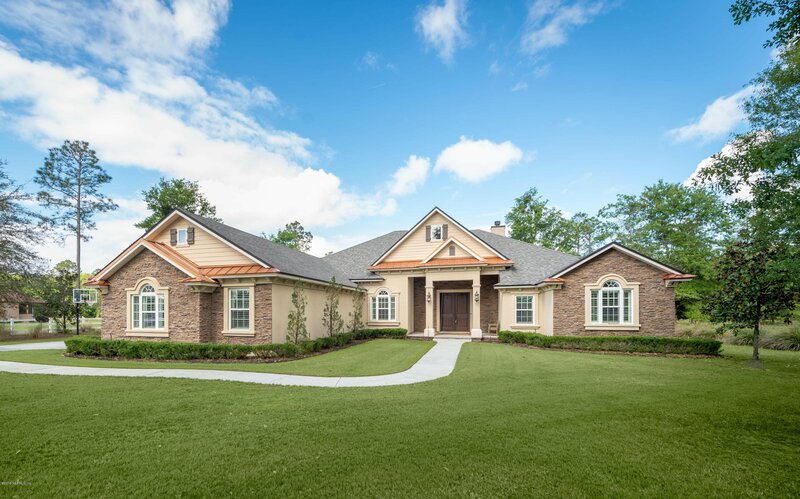 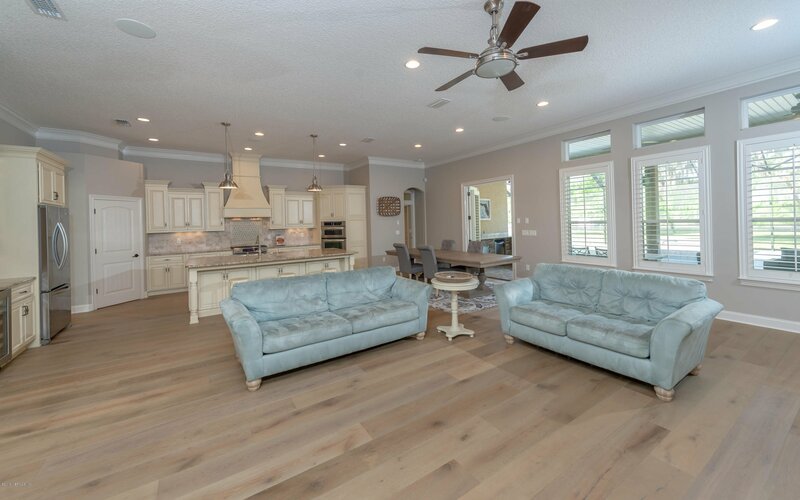 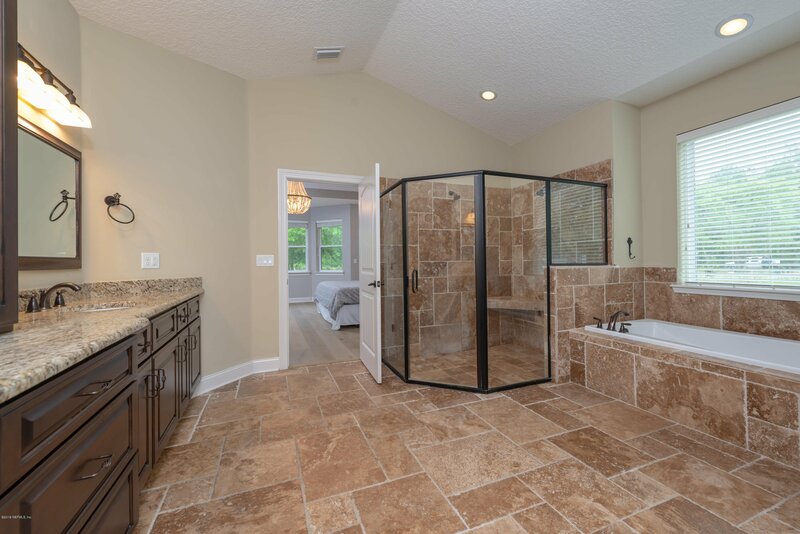 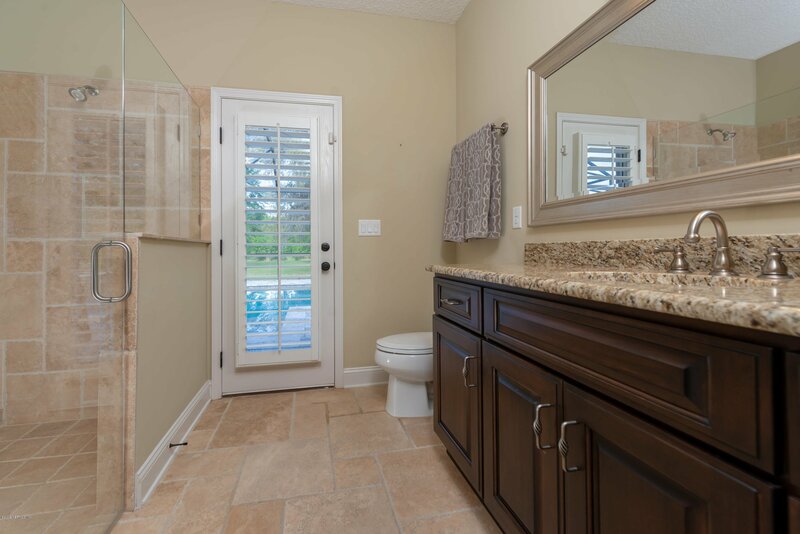 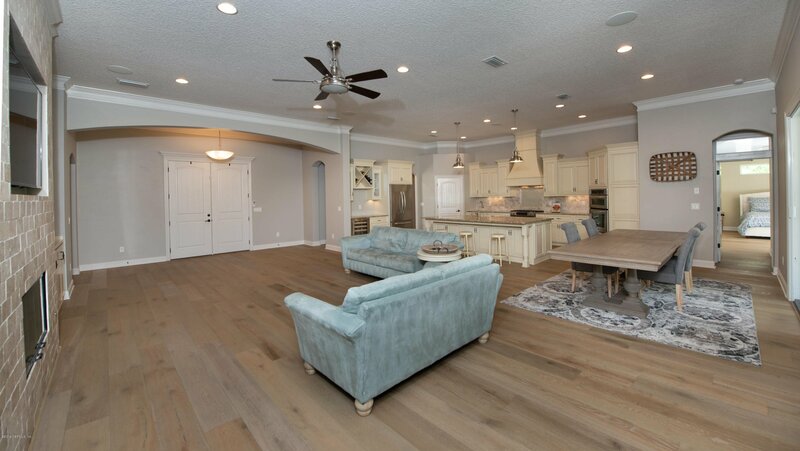 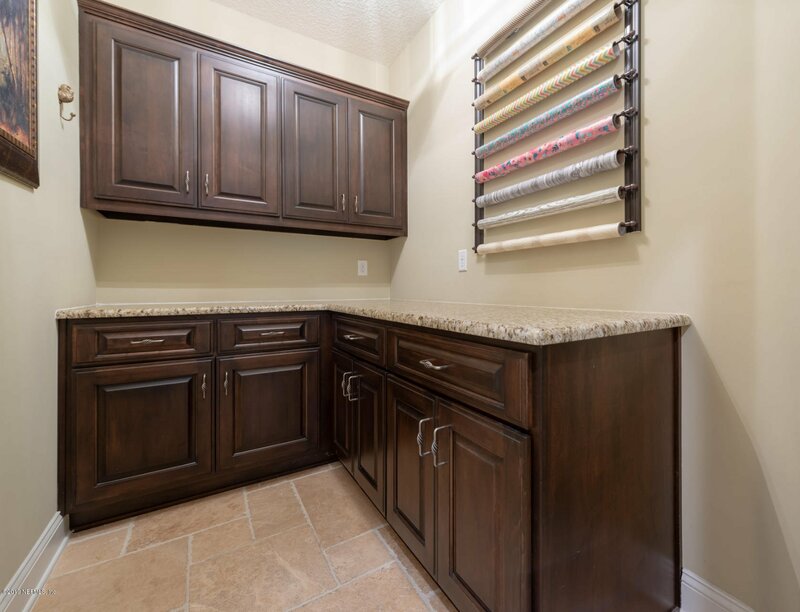 No expense was spared inside or out from ledgestone & copper roof accents to interior finishes such as granite, travertine, custom all wood cabinetry, plantation shutters & engineered hardwood flooring throughout. 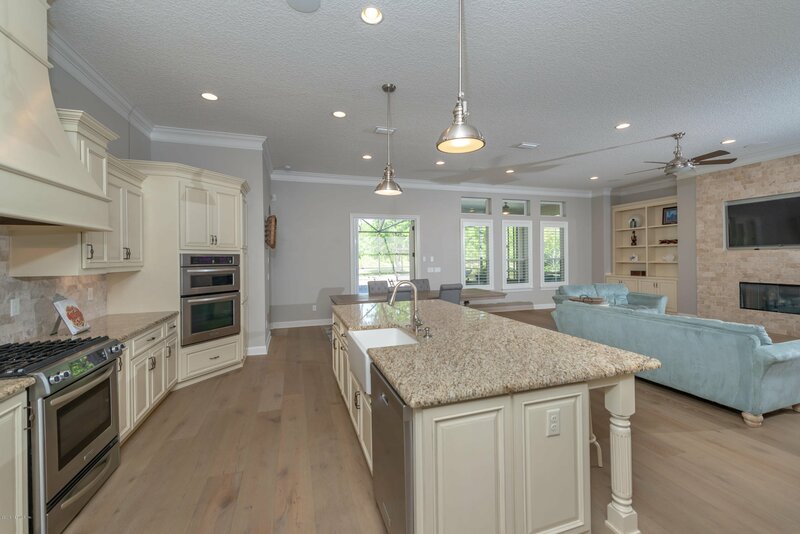 The floor plan is ideal for entertaining with an open living, dining & kitchen concept. 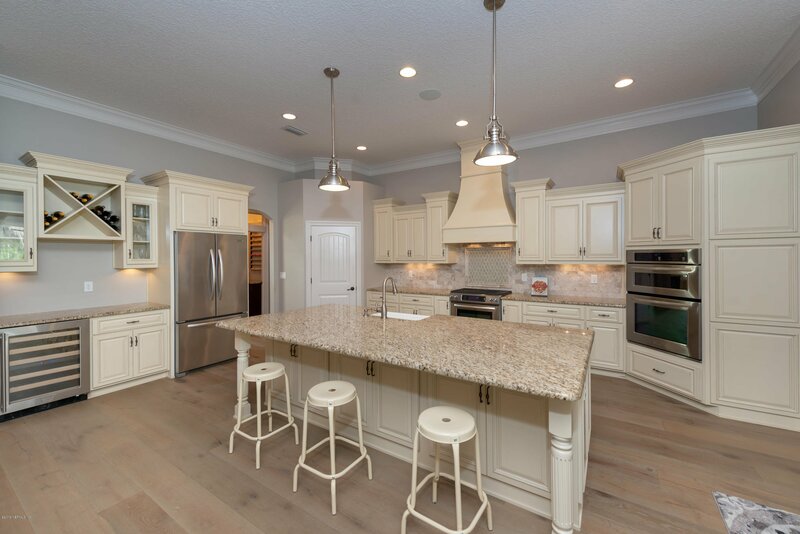 The gourmet kitchen features a 9' island w/ breakfast bar, farm sink, gas hooded range & double ovens. 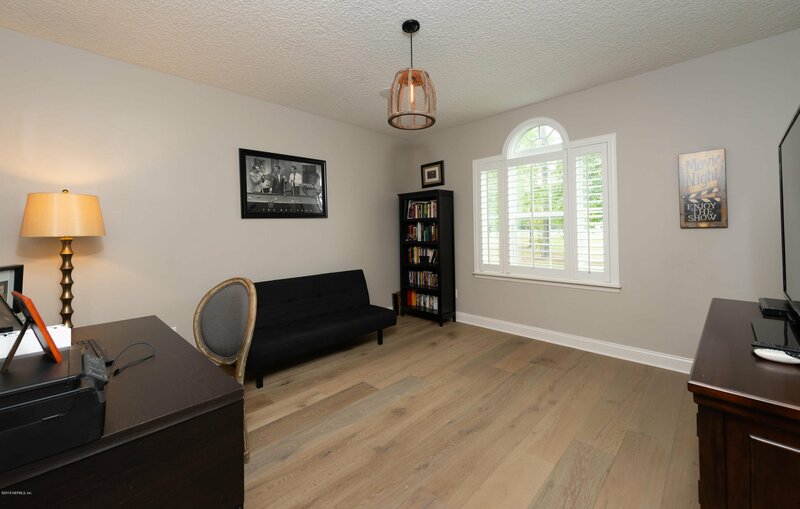 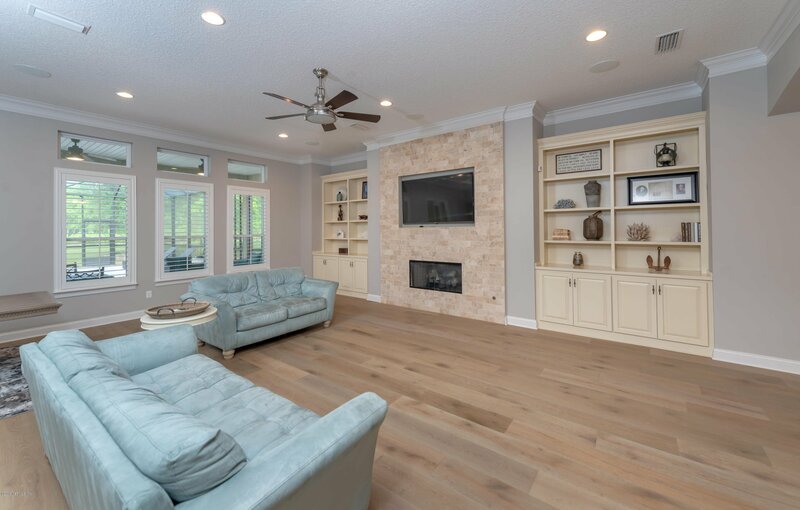 The living room hosts a gas fireplace & custom built-ins. 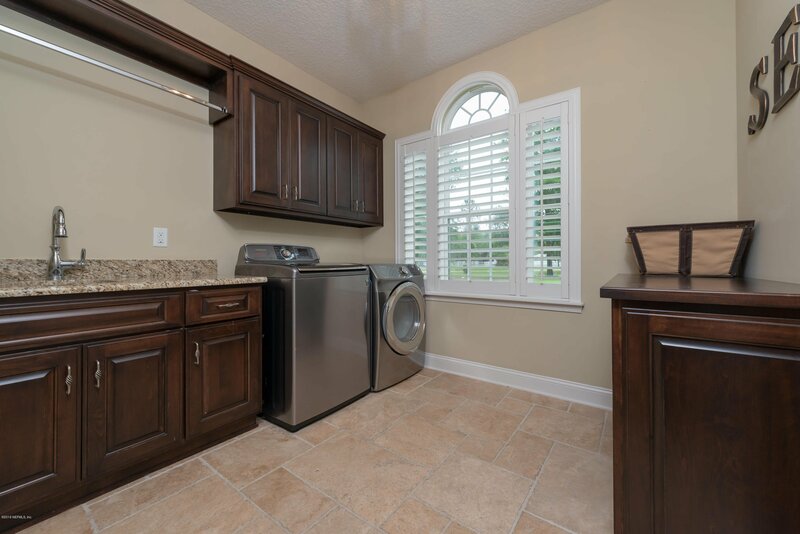 The floor plan is complete w/ a butler's pantry & a walk-in laundry room w/hanging wall, folding counter & soaking sink. 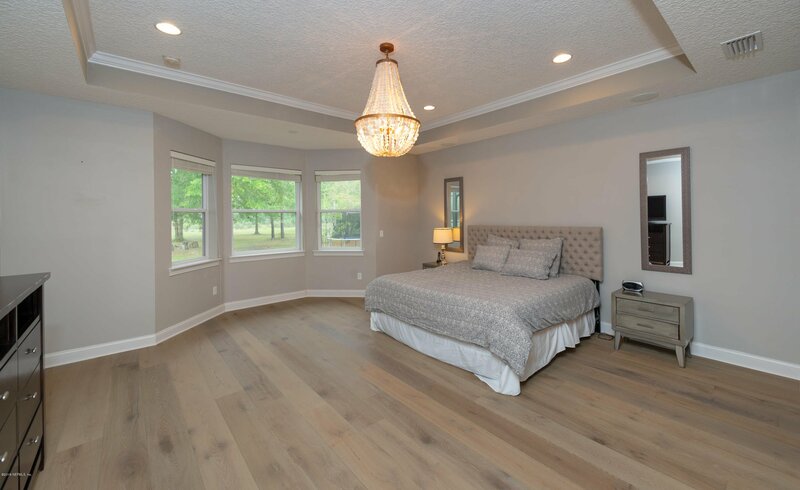 Each bedroom is oversized and the private guest suite has an en suite cabana bath & french doors leading outside. 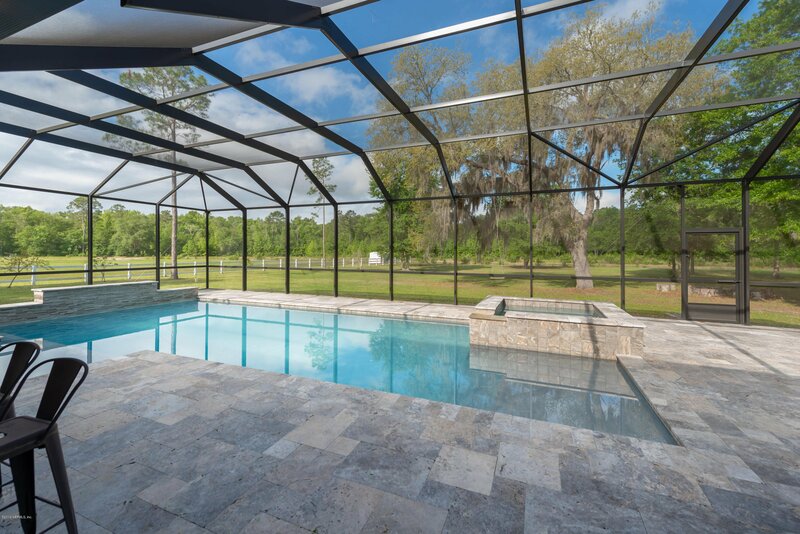 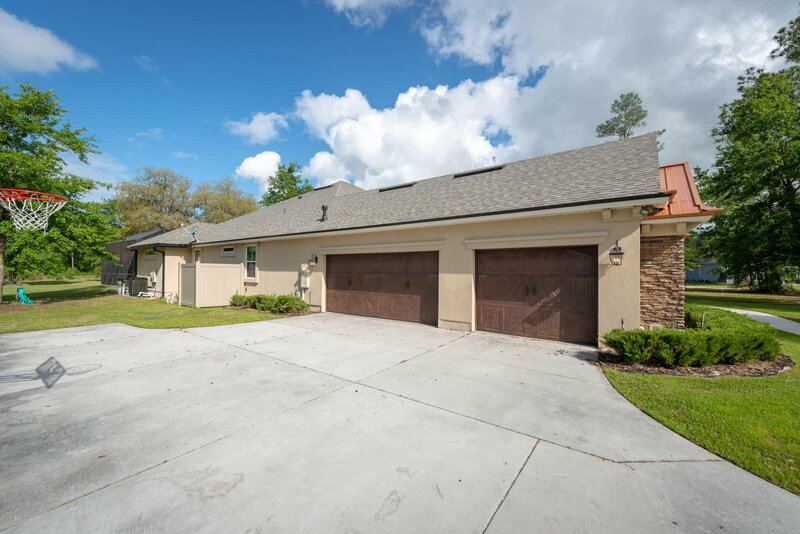 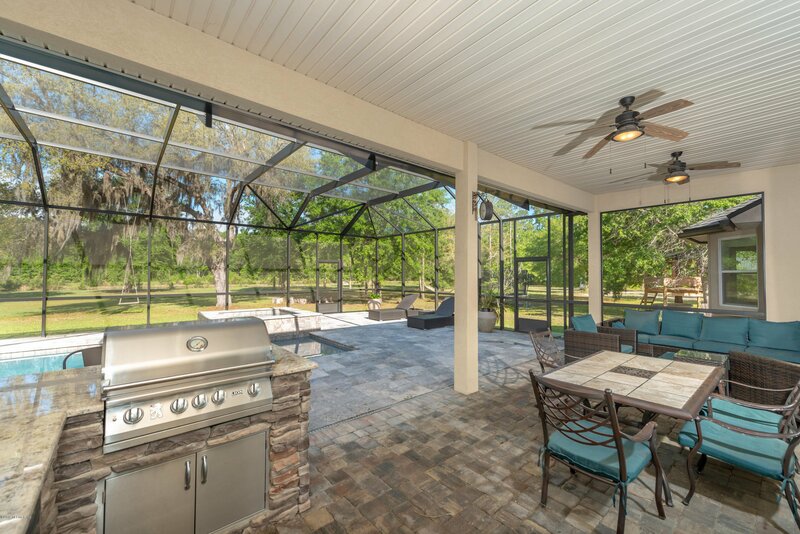 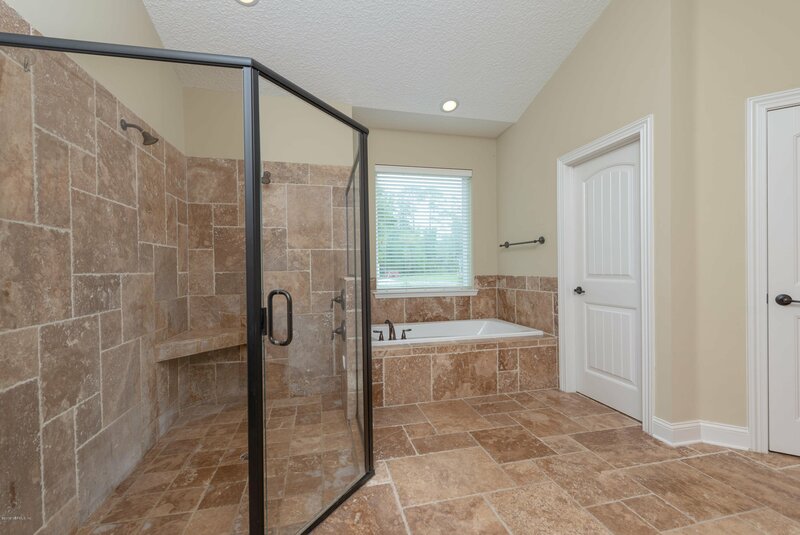 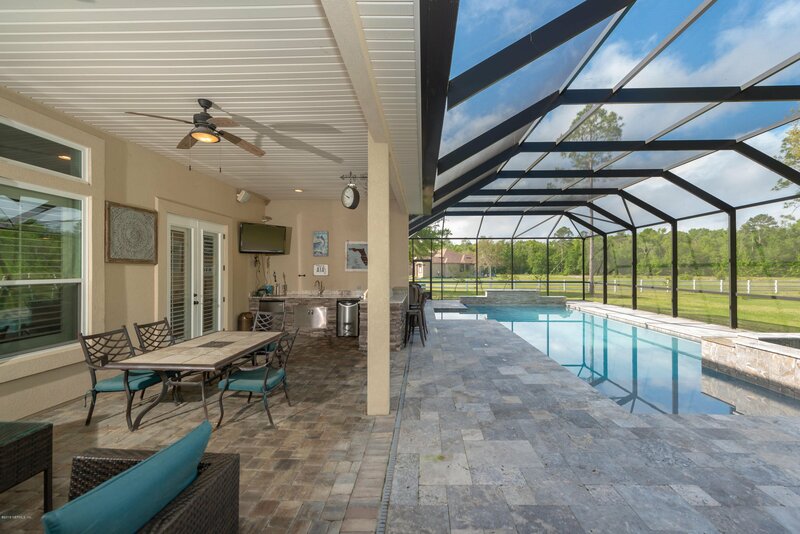 Outdoors finds a covered screened lanai w/ a heated saltwater pool & spa w/ travertine decking, a summer kitchen, surround sound, outdoor shower, a fire pit & 3 car attached garage. 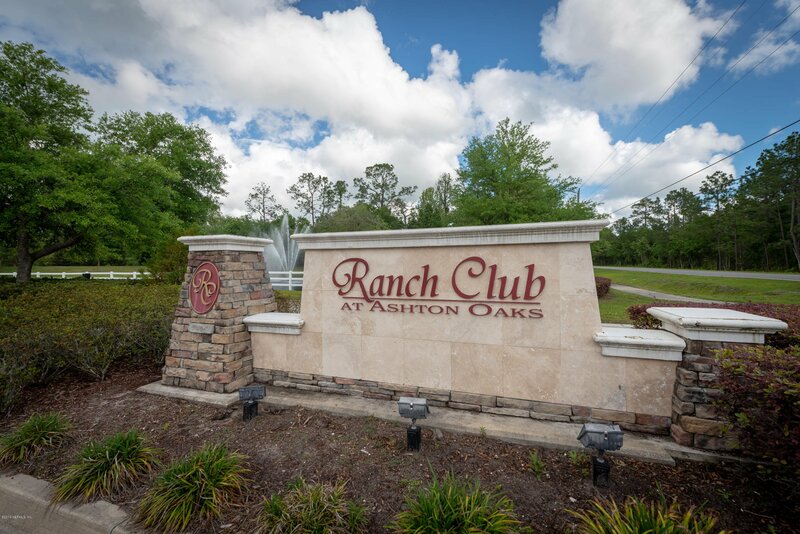 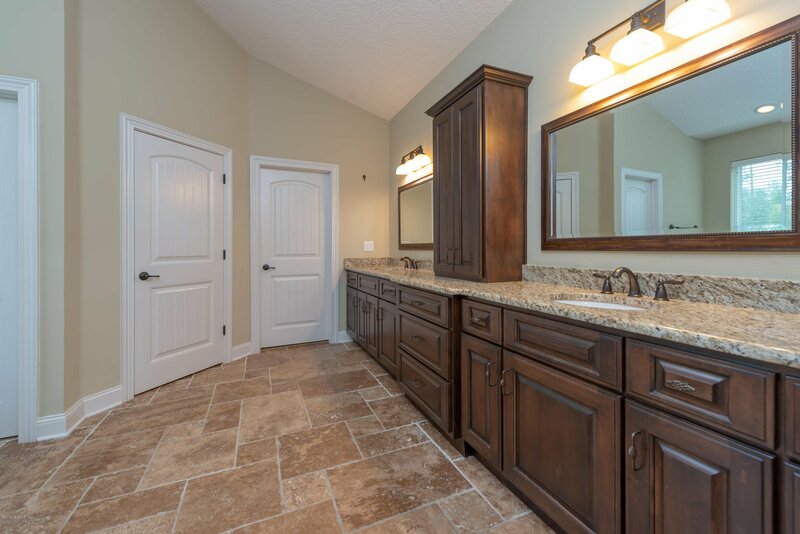 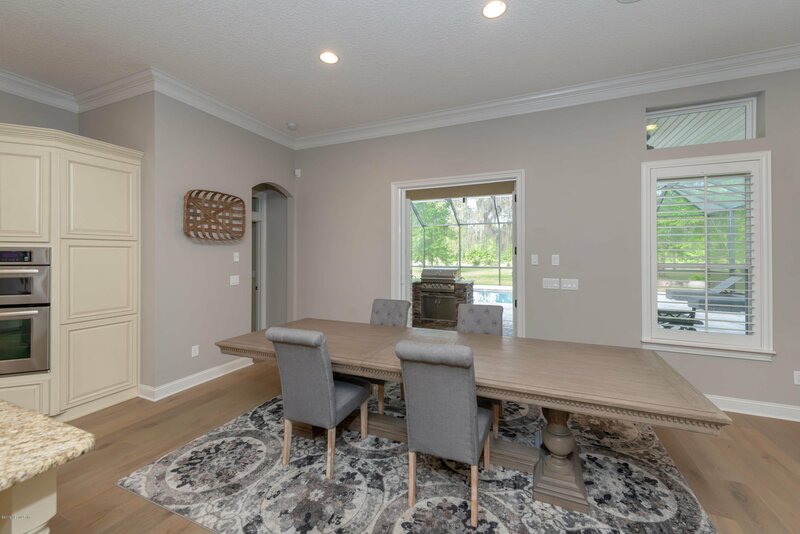 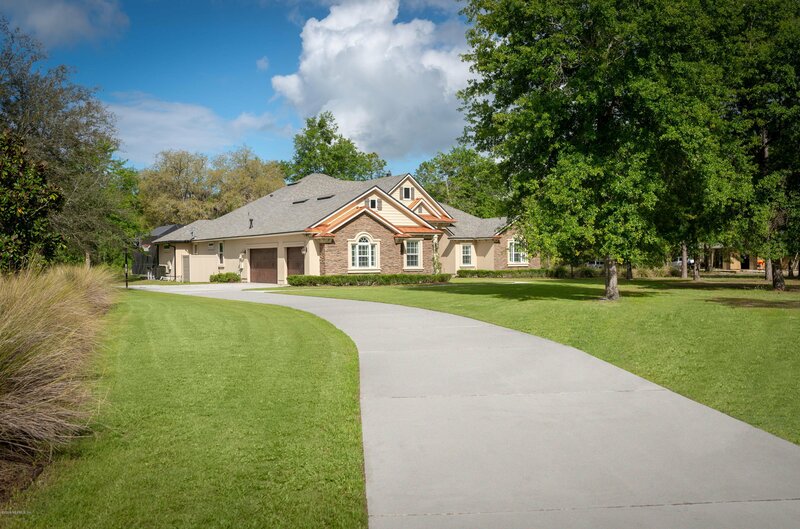 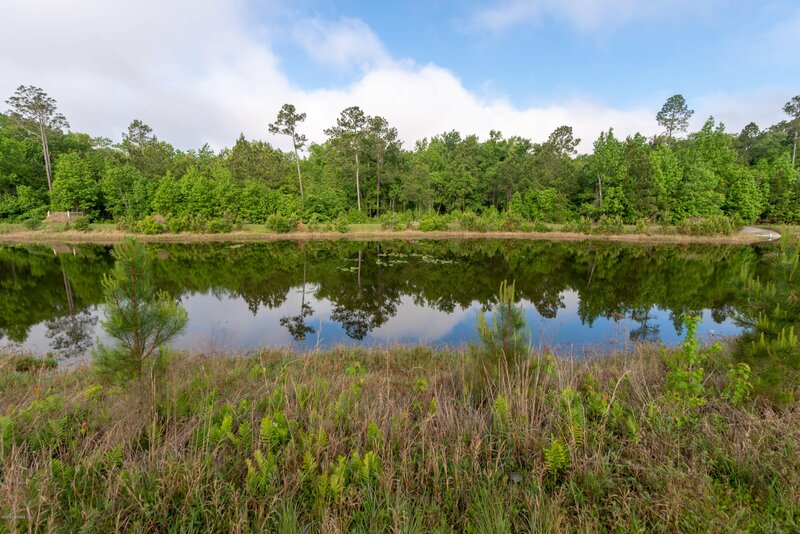 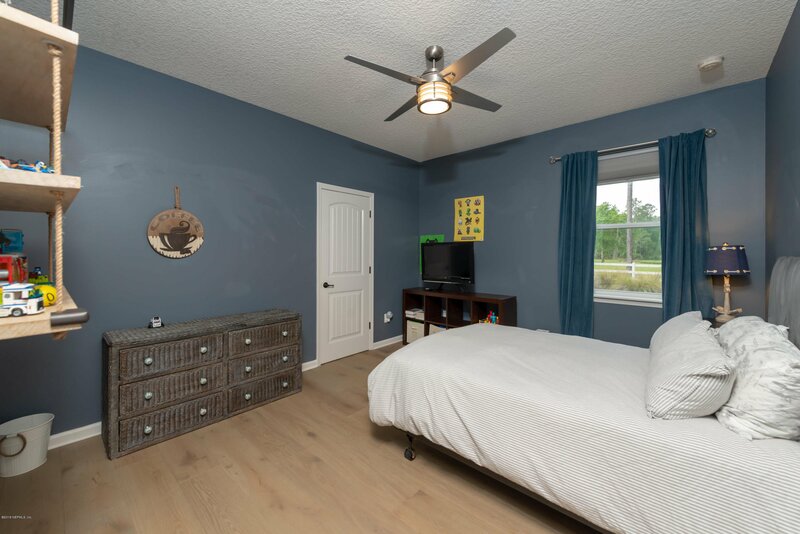 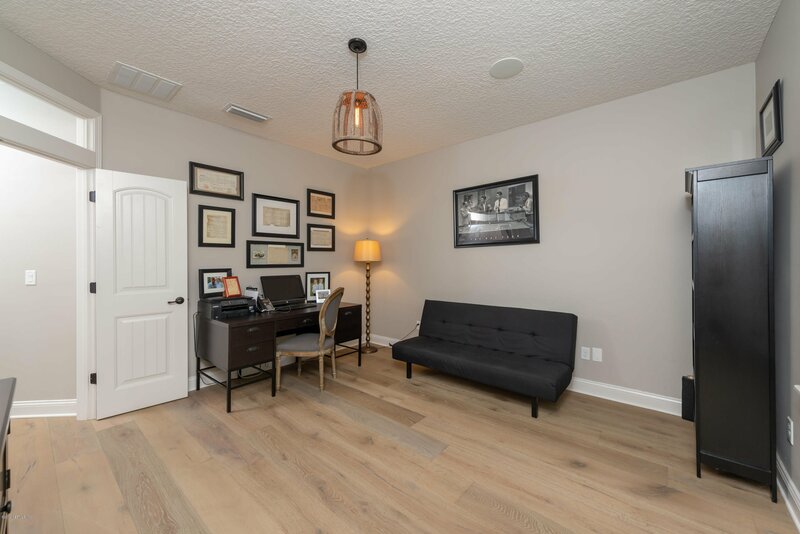 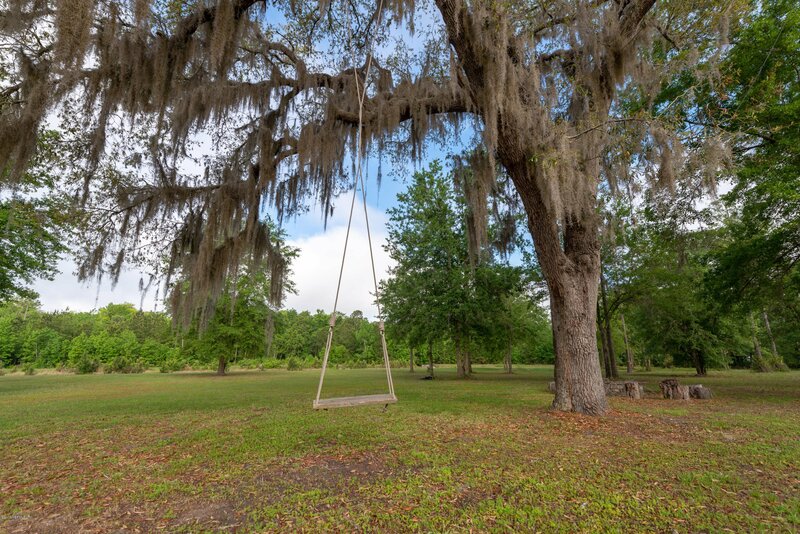 Located in the gated equestrian neighborhood of Ashton Oaks, a community of only 27 homesites, all on acreage, you're close to the conveniences of town with plenty of land & privacy.